Welcome to Orlando Garage Door Repair! We have been in the business of Repairing Garage Doors In Orlando for over 20 years, and we are ready to Repair your Garage Door Today! While other companies may be interested in making HUGE profits to cover their HUGE overhead, we purposely keep our costs lower-and pass these savings on to you! 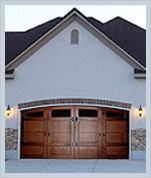 If you need your Garage Door Repaired today, please call us today, and we will be there today! We continue to strive to provide the BEST service at the BEST PRICES! Again, our pricing has remained the same over the years, and we will continue to give you the same great service at the same pricing we've had for years...remember: "Deal with the little guy and SAVE!" Please call us if we can help you in any way! Book Online & Save 10% OFF your Total Bill! Low Overhead-We're Not Part of a Franchise, or Pay High Phone Book Ads-YOU SAVE!